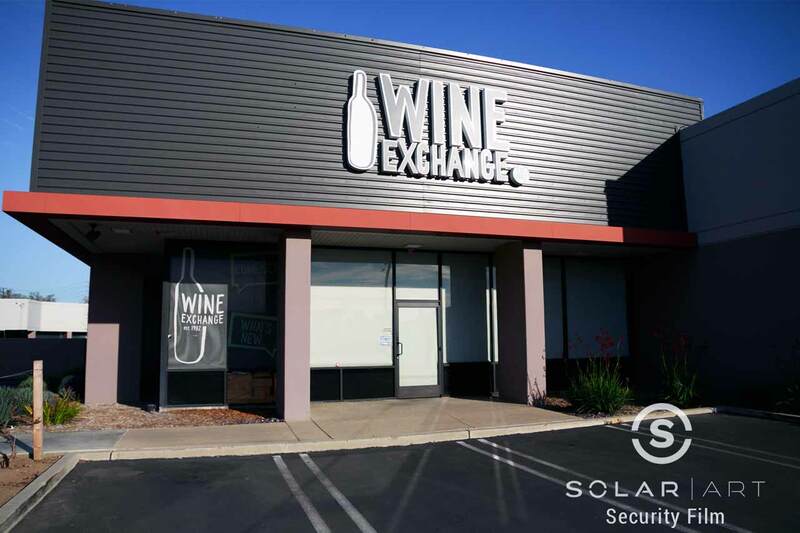 Solar Art recently installed window security film in Santa Ana, California to a commercial building called Wine Exchange. 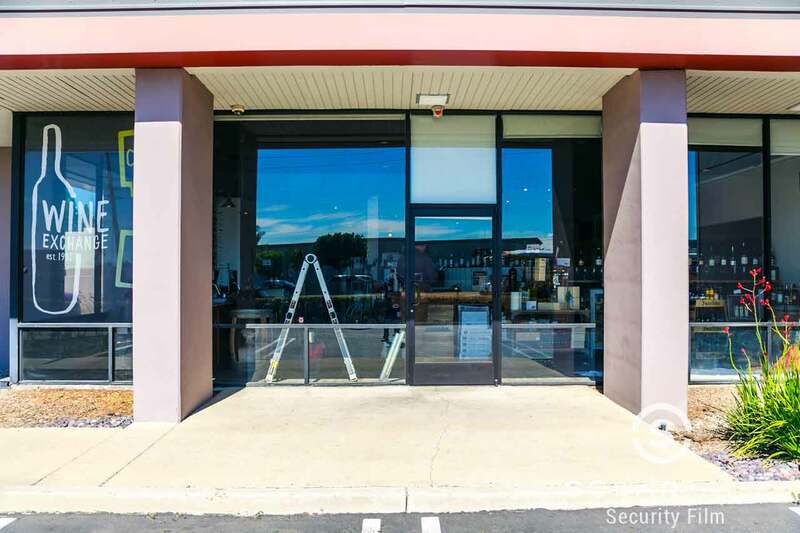 The customer had Llumar 7 mil security film installed to the exterior of the entire building. Security film is available in different thicknesses, depending on the purpose of the film. Llumar has an 8 mil security film as well as a 12 mil security film. 3M security film is another security tint that gets installed frequently. Window security film is installed to glass the same way as solar film and decorative window film. Safety film comes in various colors. It can be clear so that in the case of an intruder, they won’t even know it is there. It also comes in a reflective window film, similar to one way window film like you are looking into a mirror. Wine Exchange was looking for a clear security film which prevents people from even knowing it is there. The purpose of security film is to hold the glass together and keep it intact in case someone or something tries to hit or break through it. Security window film increases the strength of glass by 2-3 times. Security film is installed with a silicone attachment which secures the film to the glass. When it comes to security film and the silicone attachment, we wait about one week for the window tint to be fully dried. After a week, our installers go back out and install the silicone attachment. The silicone attachment adds extra protection against impact from things like earthquakes and adds more strength for bomb blasts. Safety and security film is not only beneficial in the case of an intruder, but also for natural disasters. In the case of earthquakes or heavy winds, safety and security film will help hold the glass together. In the case of Wine Exchange, the customer was looking for added protection in the case of intruders. Solar Art frequently installs 12 mil security film to schools. Solar Art has installed security window film to residences, commercial buildings and offices! Contact us directly to talk with us about Security Window Film! Security window film installations will protect your school or business from break-ins, theft, shatter proof glass and more. You can also install window security film in your home to help strengthen the glass in case of impact. Contact us today for free quote!